If you really love breakfast, then the Mountain House Breakfast Bucket is for you! Each bucket contains a whopping 30 servings of our favorite breakfast foods — that's more than enough to feed the whole family. Inside, you'll find 4 pouches each of Mountain House Scrambled Eggs with Ham, Green & Red Peppers; Scrambled Eggs with Bacon; Granola with Milk & Blueberries; and of course our famous Breakfast Skillet. 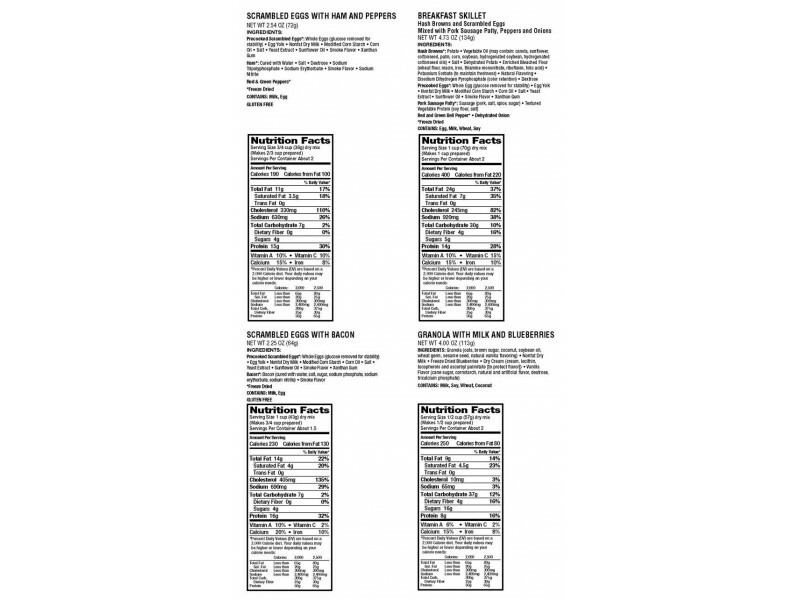 All of these come in a clear container so you can easily see all the goodness inside. A bonus? 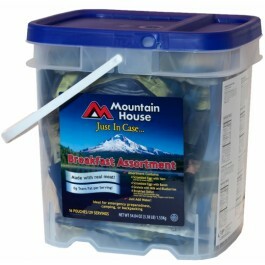 Mountain House's Breakfast Bucket is compact and stackable, making it easy to store or take with you on the go! 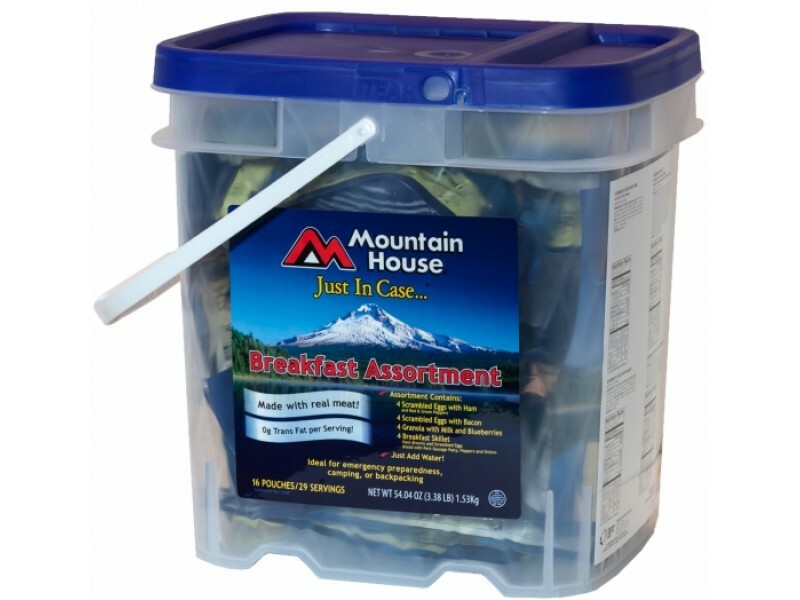 With the Mountain House Breakfast Bucket, enjoying a hot and filling breakfast has never been easier. Just add water and you can have all of these delicious meals ready in a flash. Perfect for emergency preparedness, camping trips, or at-home use!